1) RCAHMS Argyll Vol 5, 384, 8. 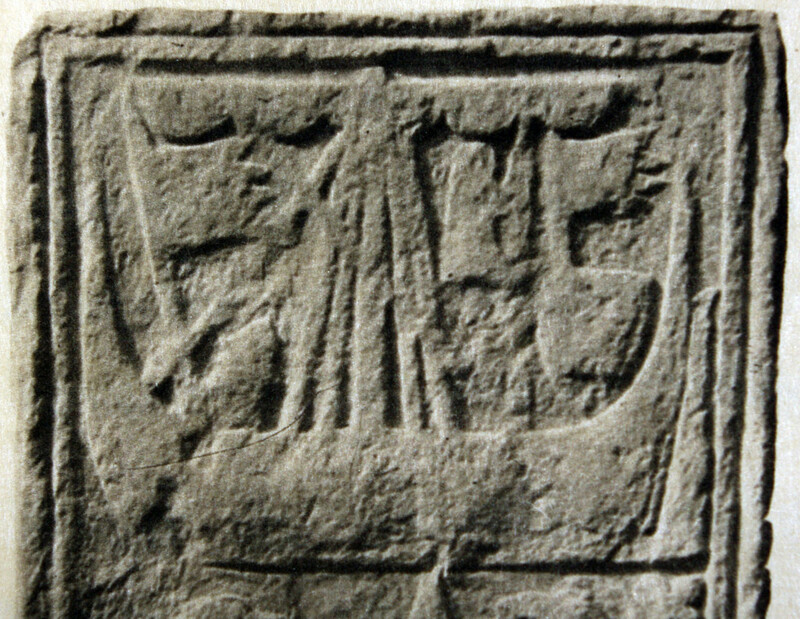 Graham, Carved Stones of Islay, Plate XXI No 71. Graham compares this stone with one at Kilchenzie, Kintyre. (See White, Kintyre, Pl. XXIII 2). The top of the slab features a galley going left. The sail is furled and there are two standards – one at stem, one at stern. There are two crew, one of whom is climbing the rigging. There is a heater-shaped shield at the stern. See also Steer and Bannerman, No 47; Glasgow Art Gallery and Museum cast No 188. 2) RCAHMS Argyll Vol 5, 384, 10 states: ‘At the foot there is an inverted galley with furled sail and a figure in the stern’.